So here are two new paintings both done for the Rotofugi show in Chicago called TOY KARMA 2. Both are for sale, but if interested contact Rotofugi for the price. If they don't sell, I'll re-post later with prices. Rotofugi is a store/gallery in Chicago that specializes in Designer Vinyl toys. They have some neat stuff and the show will be an outstanding one. 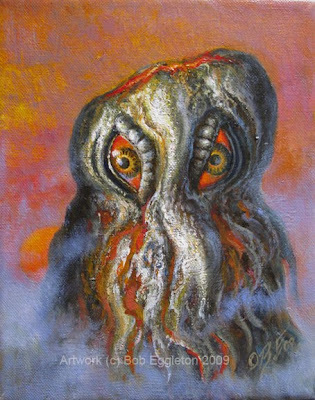 Really back into doing the small paintings. I missed them alot. So here are two more! 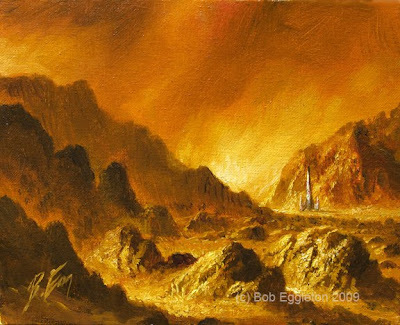 Mars was my theme, as it is such a mysterious and fun planet to paint. 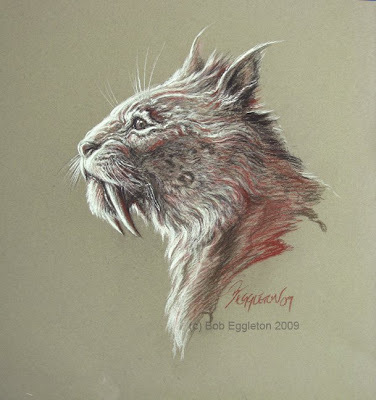 Sabre Toothed Cat-chalk on Canson paper. 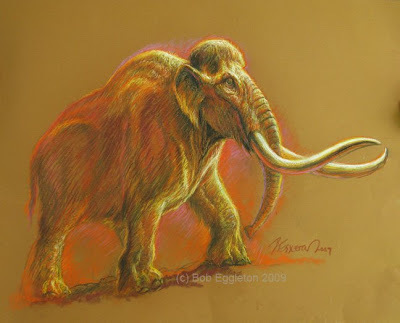 Here are a couple of drawings for the upcoming BOB EGGLETON'S ICE AGE AMERICA which will be a book from Impossible Dreams Press, due out in 2012(Mayan calendars notwithstanding). It will be written by my wife Marianne, and will feature North America, circa 13,000 years ago. 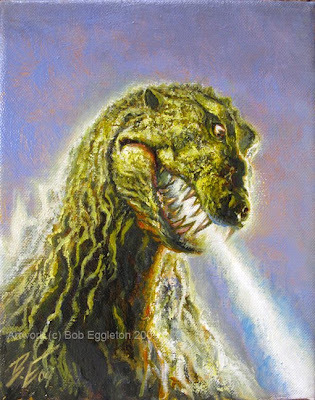 It will have some EPIC large paintings in it, so get ready for those. The feel of the book will cross the lines of fact and science as we know it, to a little fantasy and romantic feeling. We have a publisher who sees our vision and that's really a good feeling. 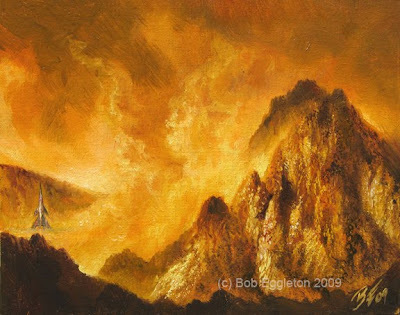 15x30 oil painting, done for the R.A.Heinlein combo "Green Hills of Earth/Menace from Earth" Here is an example of how I can have a sketchbook drawing and make it work into a nice cover for a classic book. 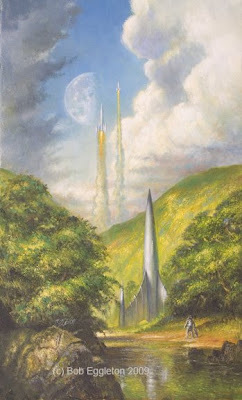 And it just kind of sums up summer's "rocket" days doesn't it?